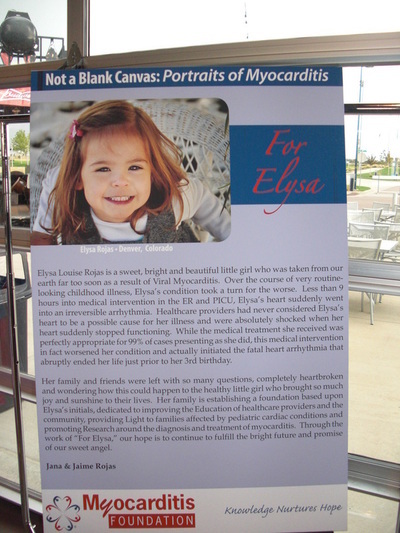 Elysa is a sweet, bright and beautiful little girl who was taken from our earth far too soon as a result of Viral Myocarditis. Click the button below to learn more about Viral Myocarditis and its warning signs. Elysa Louise Rojas is a vibrant little girl who was taken from our lives far too soon. Our healthy, engaging toddler had been ill for about 24 hours when she suddenly took a turn for the worse. We called for an ambulance, and with some insistence were transported to the ER then admitted to the pediatric ICU. Less than nine hours into medical intervention, Elysa was given medication to help her rest. As soon as the medication entered her body, her heart essentially stopped. Unknown to her medical team, Elysa’s heart had been attacked by a common virus. We learned from her autopsy that she had died of viral myocarditis. Healthcare providers had never considered Elysa’s heart to be a cause for her illness and were shocked when her heart suddenly stopped functioning. Her family was left heartbroken and wondering how this could happen to such a bright and healthy little girl. This foundation is dedicated to improving Education, providing Light and promoting Research to help physicians and families prevent another tragic death like Elysa’s. 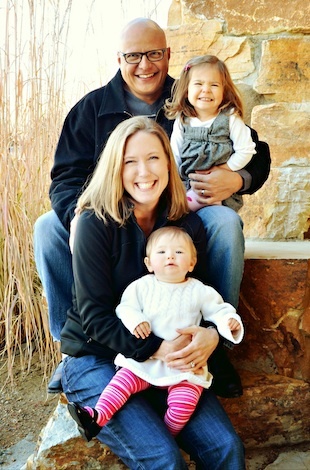 German Sferra of the ColoradoRapids.com wrote a beautiful story about our family and mission to help raise awareness of myocarditis and sudden cardiac arrest as well as provide for research and support of individuals and families affected by this condition. To read more, please click here.